If you have general queries about this Board please use this Thread to ask them. Future Earth has its own Support Thread. This one will be for Star Wars, Traveller, Star Trek, etc. 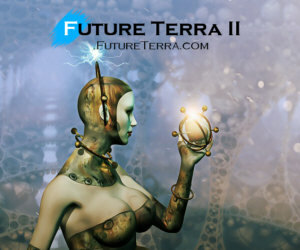 Raising funds for the Future Terra II Science Fiction Text RPG through Donations. This was started in August, 2018. If you have questions, comments or discovered a bug then please place your reply here and be as detailed as you can so we can help. Thanks. 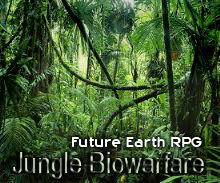 Systems include: Traveller, Traveller 2300AD, in house system (Future Earth), Savage Worlds, etc. Collaborative writing where everyone makes up the continuing events in a place into the far distant future..
Only approved Characters and the GM participate in this Thread. Miscellaneous Thread for any Out of Character Discussion that is still related to the Main Game. Make sure to read the first Post of this Thread for instructions about creating your Character. SCENARIO - The actual story is updated here by the GM. All Players are responsible for putting their OWN Character Actions here. The dependency on a Squad Leader is no more. Only Players who are participating in this Scenario should post here. Ensure that you keep your Activity level at 75% or more. 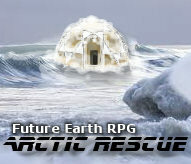 This Thread will give you the very latest updates to the Future Earth Role-playing Game. This Thread is used primarily to get new Characters into current Scenarios. Make sure to read the Future Earth RULES first before creating a character here. Only the Squad Leader(s) should post actions of players here.